We have developed a facility in which the tiny Souriau 01 8STA connector series can be modified and remodeled to suit a customer’s specific application. According to Peter Costin, our Business Development Manager, many customers have a specific requirement often not met by a standard product. “The need to save weight and space, no matter how small, in a motorsport platform is crucial.” Says Peter Costin. “As an example, we can save weight by turning a standard connector into a single flange version using the same high precision machining techniques used by the manufacturer. We can produce custom nut plates or gaskets that match the profile of the modified connector”. Adds Costin. Souriau’s size 01 8STA connector claims as much as a 20% saving in size and weight over the bigger 02 series. This while demonstrating the performance advantages including resistance motorsport fluids. The Souriau size 01 connectors accommodate #26 removable contacts and wires from 24 to 30 AWG. Our size 01 8STA interconnection package also features a range of heatshrink boots made by HellermannTyton and ultra-lightweight protective caps by Weald Electronics. We have available Souriau 8STA high power connectors designed for autosport applications where high performance, small size and light weight are key factors. They are available from our online store. The connectors are derived from established military specifications MIL-DTL-38999 and Eurofighter JN1003 and feature a rugged aluminium body with conductive black zinc plating as standard. The Souriau 8STA power contacts size 4 can handle up to 200A continuous and are suitable for many demanding autosport applications including starter motors and batteries . They are suitable for wire sizes 8, 10, 16, 25 & 35 mm². This is one of the smallest and lightest circular connector of its type available on the market. The connectors feature a positive locking mechanism capable of 500 mating cycles. Operating temperature is – 55ºC to +175ºC and, when mated, the connector meets the requirements of IP67 and can withstand salt spray and autosport fluids. To support the Souriau 8STA offering, we offer a comprehensive package of 8STA compatible heatshrink boots made by HellermannTyton and accessories made by Weald Electronics. These include nut plates, protective caps and gaskets – all designed to meet the often extreme environments found within the motorsport sector. We are now HellermannTyton’s biggest distributor of moulded boots and shapes for the motorsport market. The company stocks standard boot, glue lined boots, high temperature boots for fuel tank applications, both straight and right-angled variants and the very popular V9500 twin pack epoxy used to glue standard boots. Weald’s recently introduced lightweight caps – available in shell sizes from 01 to 24 in both receptacle and plug formats – are as much as 40% lighter than standard motorsport caps. Sealing is to IP67 and they are available with or without a lanyard. Weald has redesigned the 8STA nut plates for shell sizes 01 to 24. To make them lighter, Weald has profiled them to better mirror the shape of the connector flange while a new single flange nut plate saves even more weight. Weald’s gaskets are available in high-temperature materials for shell sizes 01 to 24. This comprehensive motorsport interconnection package is available to specify and purchase online at our online shop. 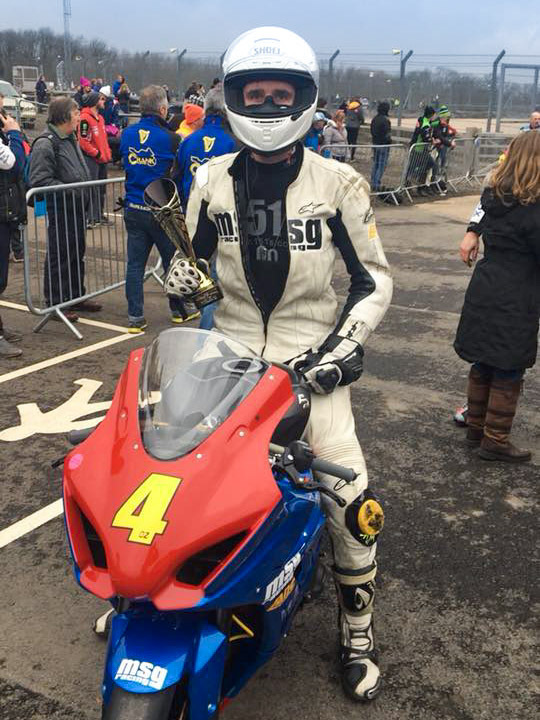 After a crash during a track day at Snetterton earlier this month, our racer Sam Osborne considered himself lucky to be able to get to, let alone ride at Oulton Park. His bike was OK, but he fractured his L3 (the L3 vertebra located in the lower back portion of the spinal column) – ouch!! Despite the injury, Sam qualified 7th in class and 30th overall. Taking part in the weekend was important because adding to his points tally could be key as the season goes on. That’s dedication for you. In Race 1 Sam moved up a few places from his start to finish 5th in class and 25th overall. In Race 2, he was 7th in class and 26th overall. Not surprisingly, Sam struggled at Oulton Park. 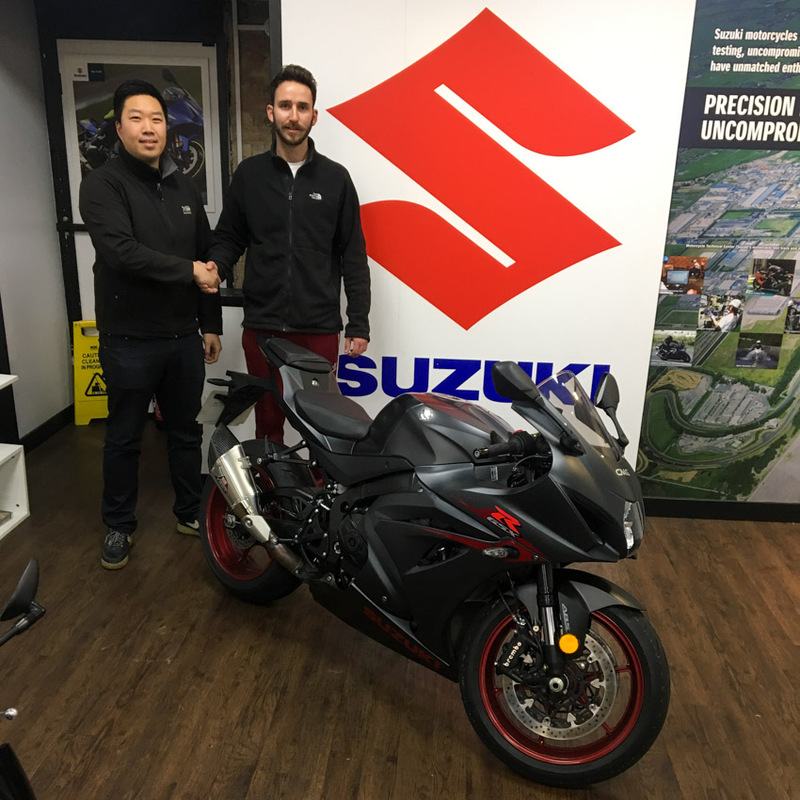 Apart from his back issue, he is still coming to terms with his new, more powerful Suzuki prepared for Sam by MSG Racing Suzuki. Sam says “Didn’t think I was going to be racing this weekend anyway, so just happy I could get out, roll round and get some points. On wards and up wards. Round 3 is Cadwell Park and we like it there. Hopefully get back into the groove a bit”. For the record, Sam is currently 5th in the Sportsman Championship. 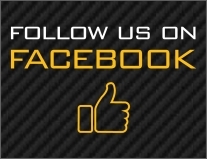 Lane Motorsport specialises in interconnection solutions for the motorsport sector. It offers a comprehensive package of 8STA connectors and 8STA compatible accessories made by leading manufacturers Souriau, HellermannTyton and Weald Electronics. The 8STA accessories include heatshrink boots, nut plates, protective caps and gaskets – all designed to meet the demanding environments found throughout the motorsport sector. 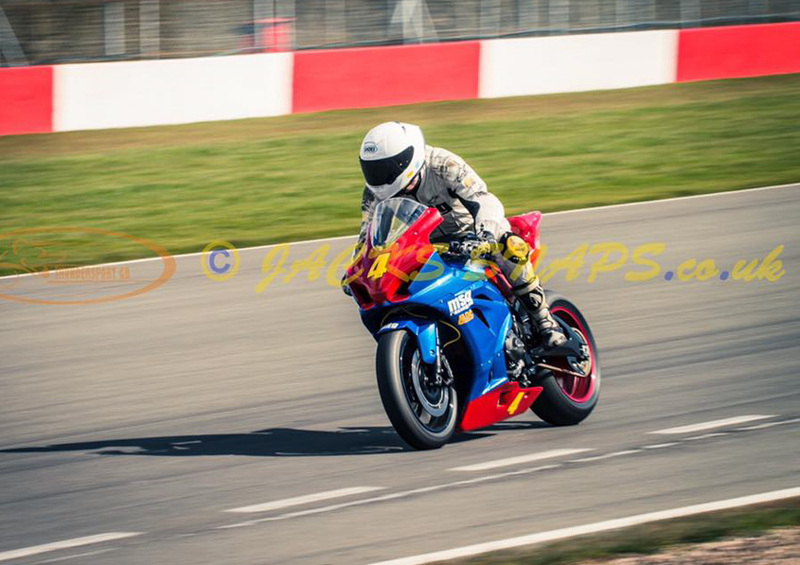 Sam Osborne, Lane Motorsport’s sponsored biker, declared the season’s first event “a great success”. After excellent early season practice and some key modifications to his Suzuki, including the addition of suspension components by the leading Italian manufacturer Mupo, Sam turned up at Donington confident that he could compete on equal terms with the leading riders in the field. Ready to go on wet tyres, Sam heard that the racing line was drying fast so he took a chance and decided to change the rear tyre for a cut slick. The result? A very creditable 12th. In the first race, Sam started off the line pretty well but dropped back to 20th. He patiently made his way through the field to finish 15th overall and a brilliant 2nd in class. Sam started Race two from 17th on the grid so there was much work to do. He moved up to 9th with a good start but dropped back to 17th, 3rd in class. Before Race three, Sam made some adjustments to the foot rest positions and suspension settings and it seemed the bike was doing everything he wanted it to do. Unfortunately, three laps into the race he “lost” the front and ended up with a “did not finish” but thankfully with no harm to Sam or his bike. Sam comments “Overall it was a great weekend and the bike has so much potential and I can’t wait to see what the future brings. After riding with the Mupo suspension for the first time I’m really impressed. It gives so much feedback it’s unreal. We felt the back squatting as I put the power on so we adjusted the pre load and it was like a different bike. I can’t wait for Oulton park now! Lane Motorsport supplies the motorsport sector with a comprehensive package of Souriau 8STA connectors and 8STA compatible accessories made by leading manufacturers Souriau, HellermannTyton and Weald Electronics. Designed to meet the demanding environments found throughout the motorsport sector, the 8STA accessories include heatshrink boots, protective caps, nut plates and gaskets. LUMotorsport Student Team – a good 2017 and a better 2018 in prospect! 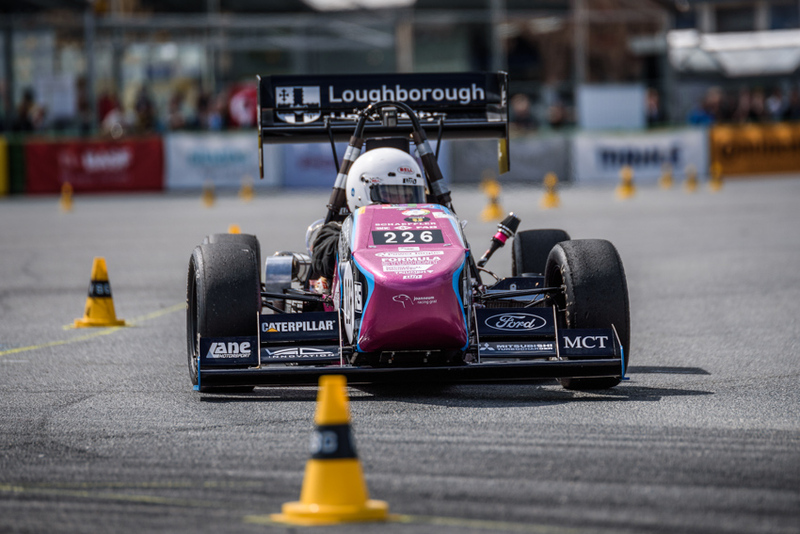 LUMotorsport is Loughborough University’s Formula Student team, comprising solely of student volunteers who design and build a single seat racing car from the ground up each year. Lane Motorsport a division of Lane Electronics is one of LUMotorsport’s sponsors and over the years has been reporting with interest the progress made by the team as it develops each season’s car. Lane Motorsport supplies the Loughborough team with a variety of Souriau’s high performance 8STA circular connectors as well as the relevant assembly tooling. Formula Student is an annual engineering competition in which student teams from around the world design, build, test, and race a small-scale formula style racing car. The cars are judged on a number of criteria including engineering design, technical inspection, acceleration, endurance and business presentation. The 2017 car – the LFS17 – helped the team have what it describes as a successful season. The car kept LFS16’s strengths and, importantly, improved on its weaknesses. The most improved area was the custom turbocharged engine, where power was increased by approximately 30bhp with much improved driveability. At the first event at Silverstone, the car put in a strong performance ending up in 13th place despite some technical issues. The powertrain continued to attracted praise from competitors and judges as it was one of the most powerful packages in the Formula Student Paddock. This meant the team were able to finish the Acceleration event in 4th place overall, missing out on a podium position by 0.002s in the top 6 run off. The next event was Formula Student Czech Republic where LFS17 looked set for a strong finish until a stub axle failed during the endurance event. Prior to the failure, LSF17 put in another strong acceleration performance, improving by 0.3s over the time set in the UK event to finish 9th in a very competitive field. The team secured an overall finishing position of 24th. A replacement part was fitted to the car and setup changes were made to prevent another failure from occurring, enabling the team to compete at Hockenheim in Germany. The German event is one of the most prestigious events in the world, attracting an extremely competitive field. By this point, many of the car’s problems had been resolved and LFS17 put in a very good performance, finishing 34th overall. 2017 was the first year that an LUMotorsport car had a full aerodynamics package (front wing, rear wing and floor). Therefore, the aim this year is to improve on all three by reducing weight, producing consistent downforce and revising the cooling system for increased aerodynamic freedom. 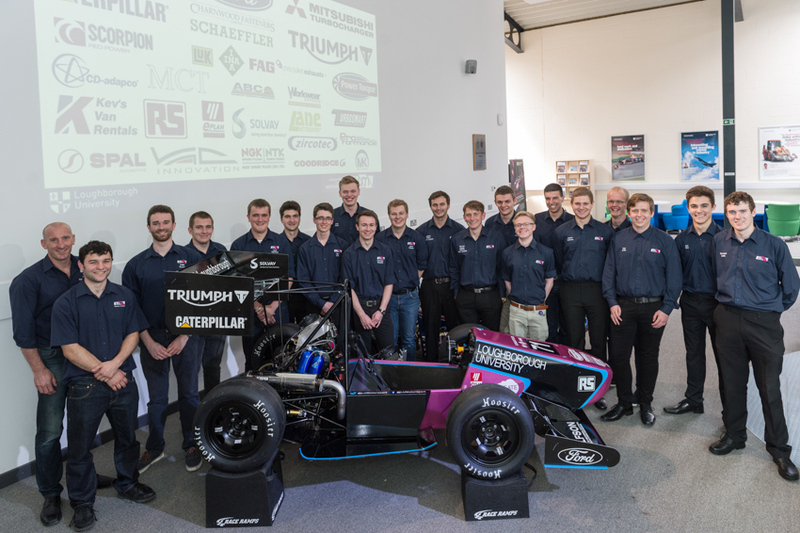 The unique turbocharged Triumph Daytona engine delivered an impressive 88bhp and 4th place in FSUK acceleration last year. LUMotorsport is aiming for further gains in 2018 as a result of securing the use of an engine test cell within the AAE department at the University. The suspension geometry on LFS18 will be completely different to its predecessor as it will be fitted with 10 inch wheels – instead of 13 inch. The change will reduce the cars weight significantly and the suspension team is working hard to ensure that mechanical grip is not compromised. Lane Motorsport specializes in electrical and electronic connector solutions for all types of motorsport platforms offering a comprehensive package of Souriau 8STA connectors alongside accessories made by HellermannTyton and Weald Electronics. These include heat shrink boots, nut plates, gaskets and ultra-lightweight protective caps – all designed to work alongside the Souriau motorsport connectors. 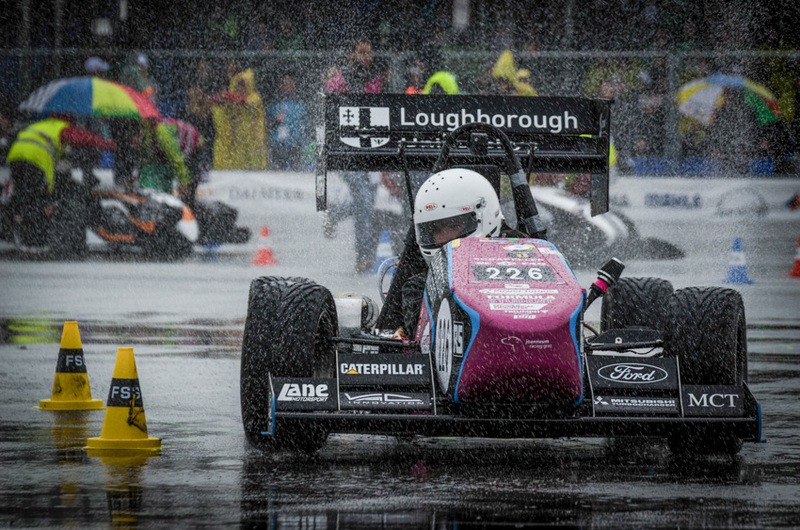 We hope to bring you more information on Loughborough’s LFS18 as the year progresses. Sam Osborne is back in the saddle – And with a new bike! Lane Motorsport’s sponsored biker Sam Osborne is all set to return to racing this season after missing most of last year. His chance of a competitive season in the upcoming Thundersport GB GP1-Sportsman class has been give a massive boost with the purchase of a new bike. It’s a Suzuki GSX-R 1000, one of the best racing machines on the circuit. For the statistically minded, the GSX-R 1000 has a top speed of more than 173 mph (278 km/h), a 1/4 mile time of 10.1 seconds at 141.7 mph (228.0 km/h), and a 0 to 100 km/h (62 mph) time of 3 seconds. Now that’s travelling! 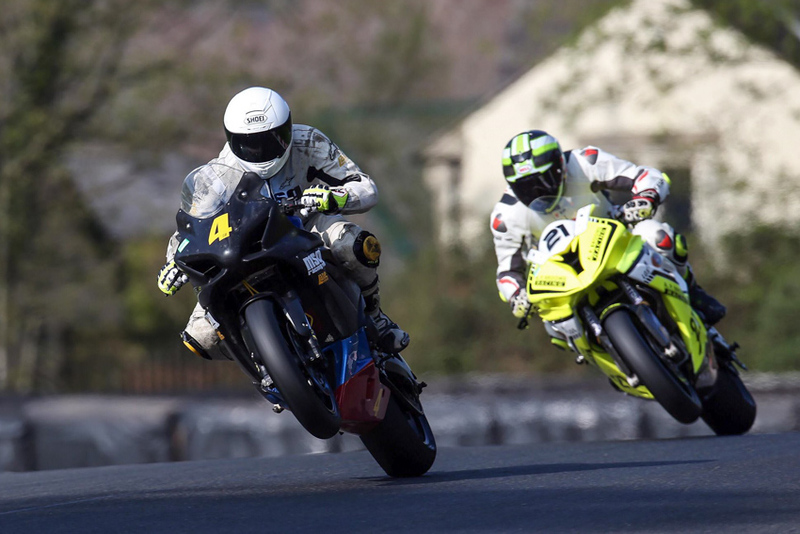 Thundersport is recognised as the most established, well known and competitive motorcycle racing club in the UK. 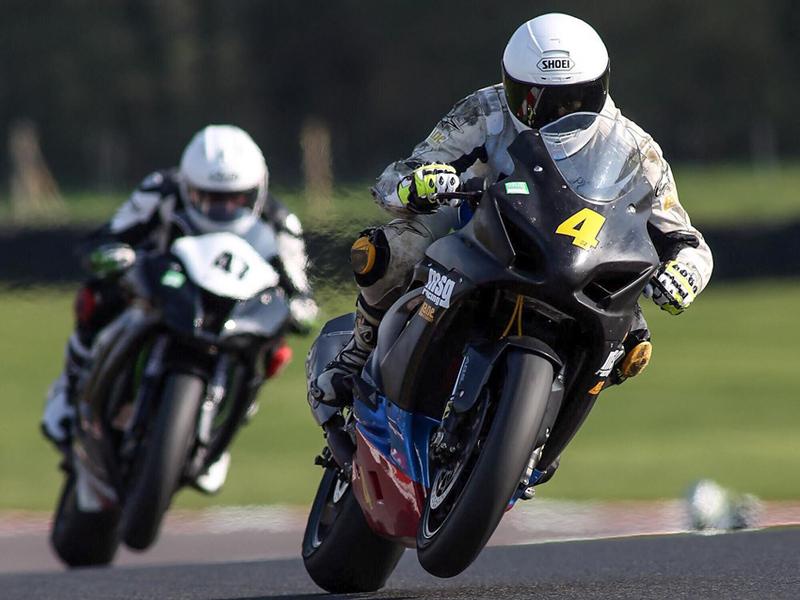 It has produced many of the sports leading riders and is seen as the perfect place to start racing with racing categories that range from freshman or novice right up to the GP1 Elite class which is the club’s premier category. We will report on his progress once the season starts. It begins with two practice weekends at Donington Park (23 Feb) and Cadwell Park (4 March) and then Thundersport GB visits seven circuits throughout the UK before the finals at Snetterton in October. Lane Motorsport, a division of Lane Electronics, is known for its comprehensive package of 8STA motorsport / autosport connectors and compatible connector accessories made by Souriau, HellermannTyton and Weald Electronics. These include heatshrink boots, ultra-lightweight protective caps, nut plates and gaskets – all designed to meet the demanding environments found within the motorsport sector. 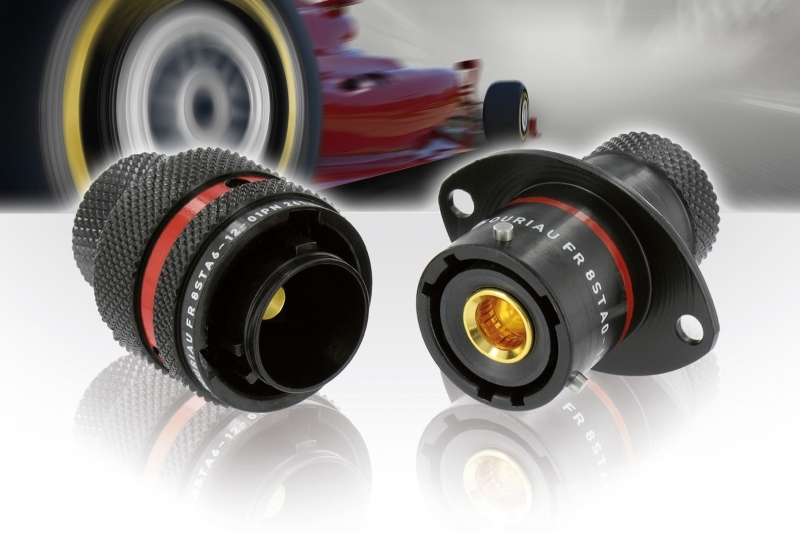 Lane Motorsport has made available an ultra-miniature 8STA circular connector as well as a range of ultra-lightweight size 01 8STA compatible accessories. The Souriau size 01 8STA connector offers a significant 20 percent saving in size and weight over the larger size 02 series while maintaining all the performance advantages which includes an anti-vibration design and a high resistance to motorsport fluids. 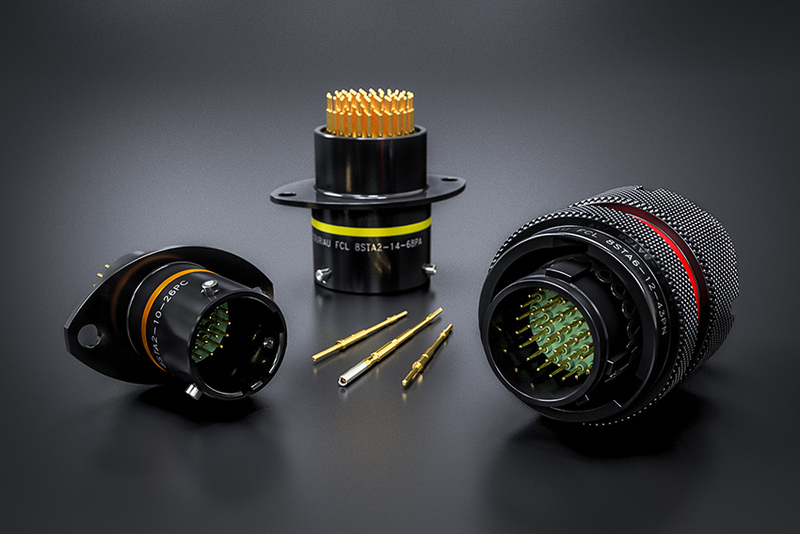 According to Lane Motorsport, these Souriau size 01 connectors accommodate #26 contacts that can handle wires from 24 to 30 AWG. Other key features of these ultra-miniature connectors include seven colour-coded orientations, PCB options and a boot termination feature. Lane Motorsport’s size 01 8STA interconnection package features a comprehensive range of connector accessories made by HellermannTyton and Weald Electronics. These include ultra-lightweight protective caps, heat shrink boots, nut plates and gaskets. Weald Electronics’ size 01 aluminium protective caps feature an anti-vibration locking design and are about 50 percent lighter than the standard size 02 designs. They are available in 14 sizes and two versions for plugs and receptacles. The caps can be supplied with or without a flexible, stainless steel micro wire rope lanyard. Weald’s size 01 nut plates are profiled to better mirror the shape of the connector flange and are designed to help the assembly process. HellermannTyton’s size 01 heat shrink boots are exclusively available from us. Available in straight and 90⁰ versions, these are heat shrinkable, strain relieving boots for backshell to cable transitions and are adhesive lined and made from fuel-proof material. This comprehensive motorsport interconnection package is available to specify and purchase online in our online store. 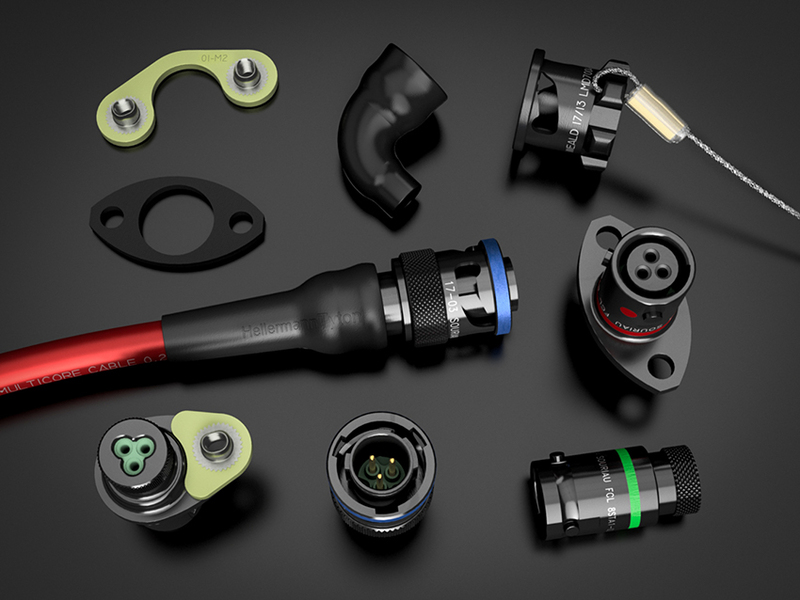 We witnessed a huge amount of interest in our electronic connector and enlarged connector accessories package at this year’s Autosport Engineering Show held last month at the NEC. We showcased our comprehensive selection of Souriau 8STA connectors and accessories including the incredibly small shell size 01 8STA Series of circular connectors which is becoming widely used in the motorsport world thanks to its weight and space saving characteristics combined with high performance. Over the past 12 months we have made a number of additions to our ranges of 8STA Series compatible connector accessories. 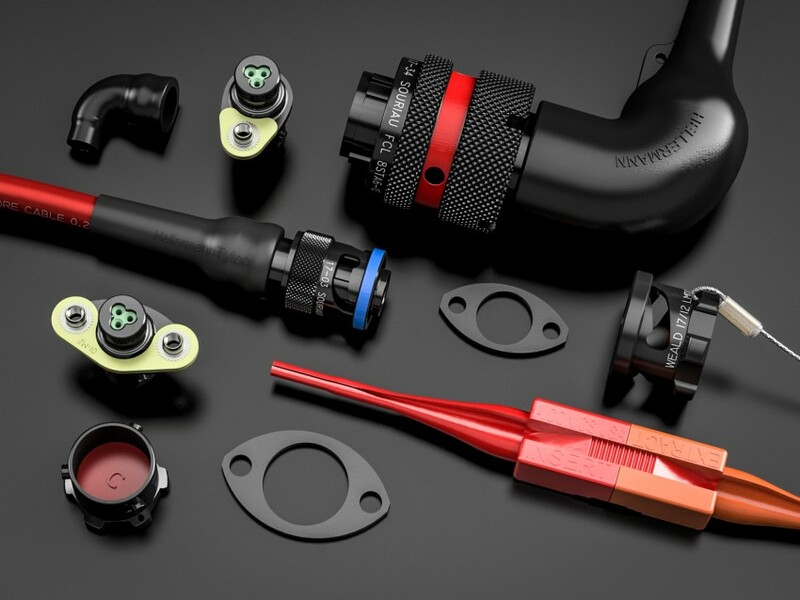 These include motorsport heat shrink boots from HellermannTyton, as well as ultra-lightweight protective caps, nut plates and gaskets from leading connector manufacturer Weald Electronics. Our Autosport Engineering booth also featured Weald’s modified 8STA connectors which are designed to save even more weight and space. As HellermannTyton’s biggest distributor of moulded boots and shapes for the motorsport market, we showcased standard boots, glue lined boots, high temperature boots for fuel tank applications and the very popular VG950 twin pack epoxy used to glue standard boots. Together, this all makes a comprehensive motorsport electronics and electrical connector package which is also available to specify and purchase online in our e-commerce store. 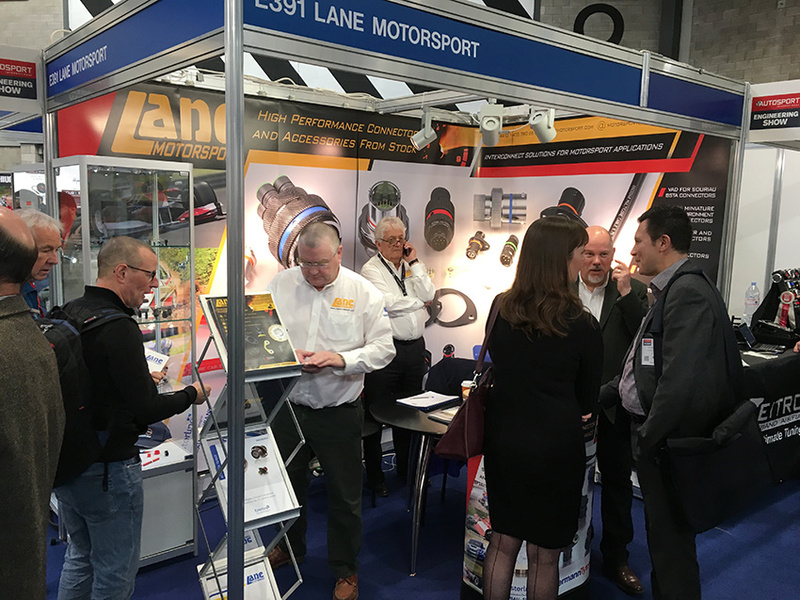 If you couldn’t get to the show and need more information about our electronic connectors for motorsport, please contact us by emailing motorsport@fclane.com or calling us on +44 (0) 1403 790 661. Significant investment in tooling and inventory levels at Lane Motorsport will ensure that customers for Souriau’s 8STA High Density (HD) Series of circular connectors will soon not have to wait for prototypes and small quantities beyond a few days. 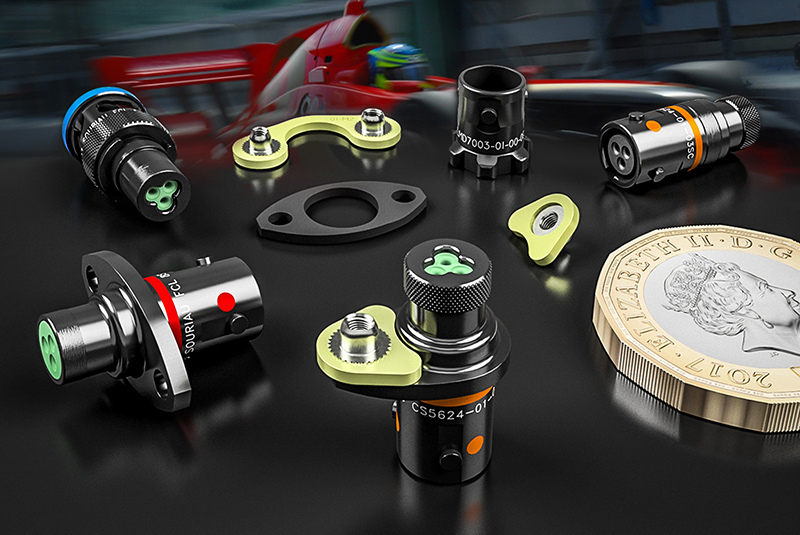 This is an important development since these connectors are mainly used throughout the demanding motorsport sector where speed is of the essence. According to Peter Costin, who runs Lane’s Motorsport Division, when the new tools come online, they will allow Lane to become a real extension of Souriau’s manufacturing capability for customers in the motorsport world, while increased component inventory levels mean lead times measured in days. Lane also has a no minimum order quantities policy. These connectors are used in many areas including engine control units, communications equipment, data acquisition systems and harnesses, while other applications for these increasingly popular high density 8STA connectors include those where high performance, small size and lightweight are key factors. Souriau’s 8STA HD connectors are derived from established military specifications MIL-DTL-38999 and JN1003 and feature a rugged aluminium body plated as standard with conductive black zinc. They are among the lightest circular connector of their type currently available and the high density capability provides up to 68 size 26 contacts using 24 to 30 AWG wire. This usually allows a smaller shell size to be used for the same application. They are available in 7 shell sizes: 02-05; 04-06; 06-09; 08-12; 10-26; 12-43; 14-68. Contacts are gold plated copper alloy with a liquid silicone rubber insulator and seal. The size 26 contacts are rated at 3A. Importantly, the 8STA HD connector is 100% scoop proof and incorporates a positive locking mechanism with locked colour indicators. They can handle 500 mating cycles, 300g shock for 3ms and vibration levels to 147m/s2, 10 to 2000Hz.